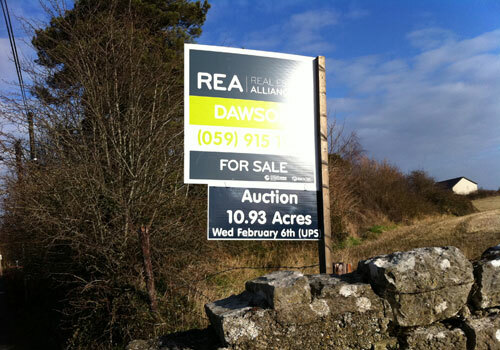 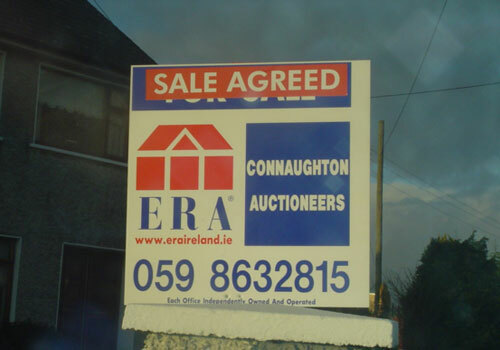 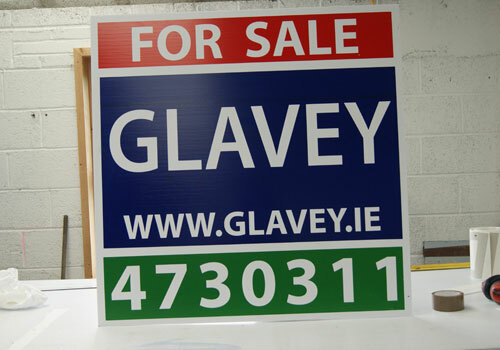 We manufacture a full range of Auctioneer Signs, everything from flag signs to meter boards and Development Hoardings along with Slips and Banners. 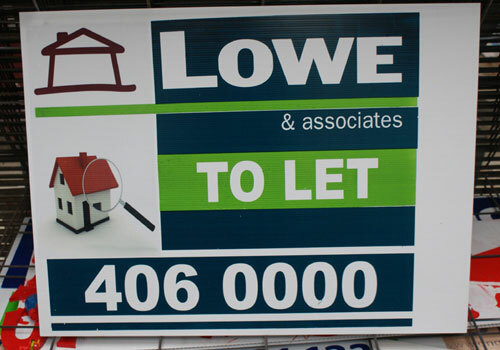 We have a range of standard Stickers available off the shelf for use with Flag Signs. 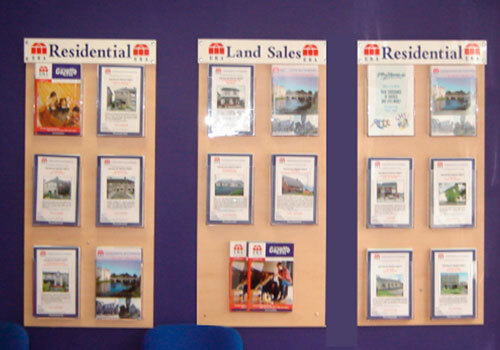 Single or Double-sided Corriboard Slips and Self-adhesive Strips can be ordered in any size, with the wording you require, for fixing to your existing signs. 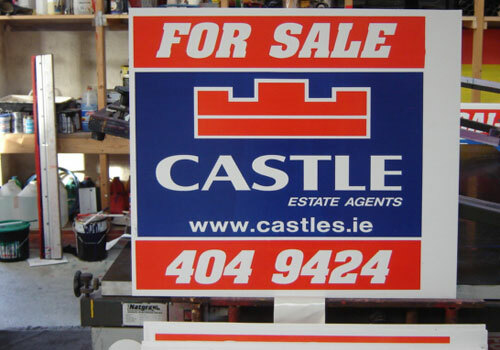 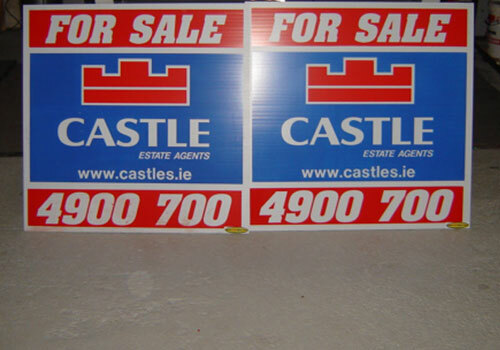 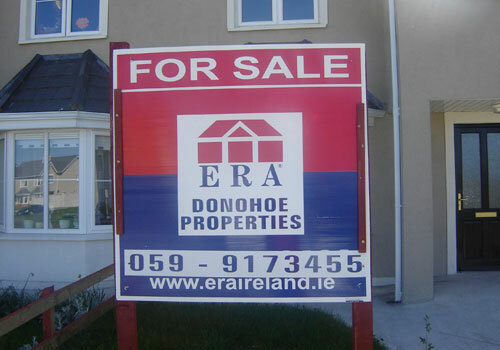 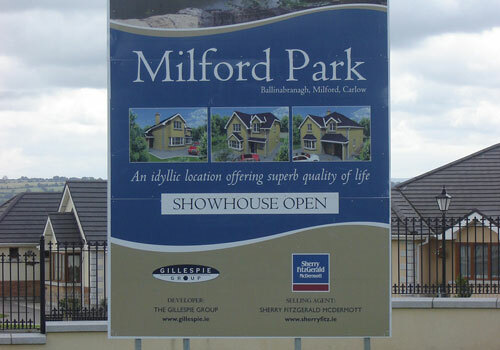 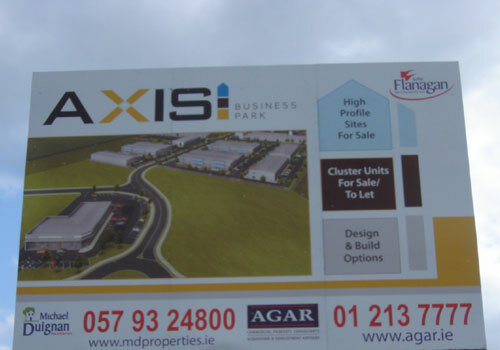 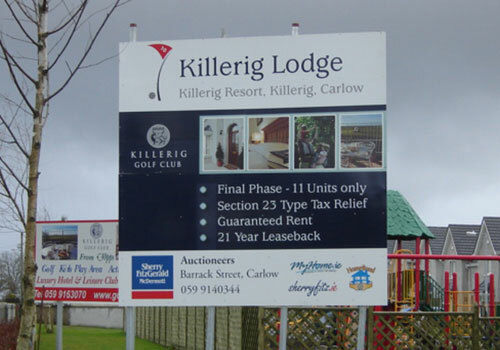 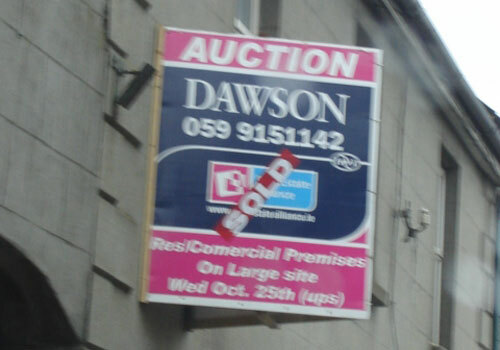 Large Scale Development Signs for Advertising and Promoting Housing and Commercial projects etc. 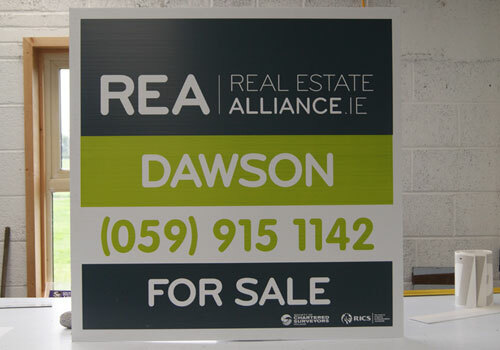 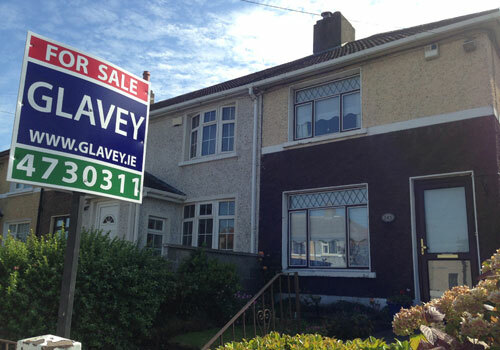 The Signs can be Designed and Produced in-house. 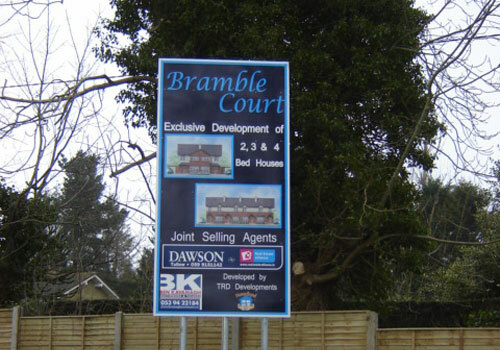 These can include your full colour artists impressions and Photographic ImagesWe Manufacture Site Signs showing details of the Project, Main and Sub Contractors, Selling Agents, Design Team etc.